SouthPointe Paint and Decor carry the full line of Graber and Maxxmar blinds, shades, sheers, drapery and shutters. From aesthetics, comfort, and convenience to durability and efficiency, there are dozens of important factors to consider when choosing new window coverings Our professional consultants can help you transform your home. Knowledgeable, creative, and attuned to your taste as well as important industry trends, they can work with you to elevate your environment and realize the vision you have for your home. Window coverings set the mood and complement your style. They can open up a vista, create a serene room for rest, protect furnishings and artwork from harmful UV rays. They can even play a large role in conserving energy in your home. Window treatments are designed to elevate your living space—to perfect the ambiance, to protect your furnishings, to accent your décor. 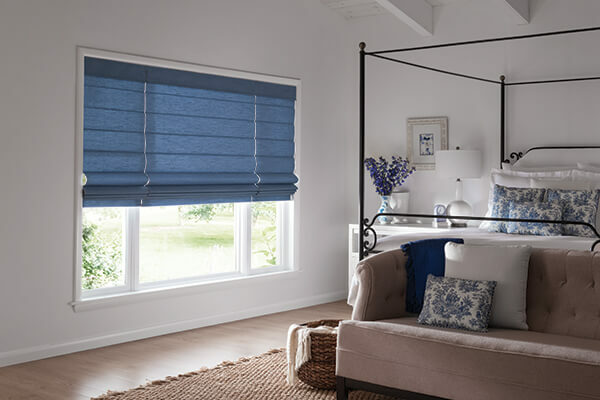 Motorized blinds and shades, partnered with Somfy motors and remotes, transform window treatments from home improvement to true indulgence—whether it’s for one window, one room of windows, or your entire home. And it’s easier than you could ever imagine.